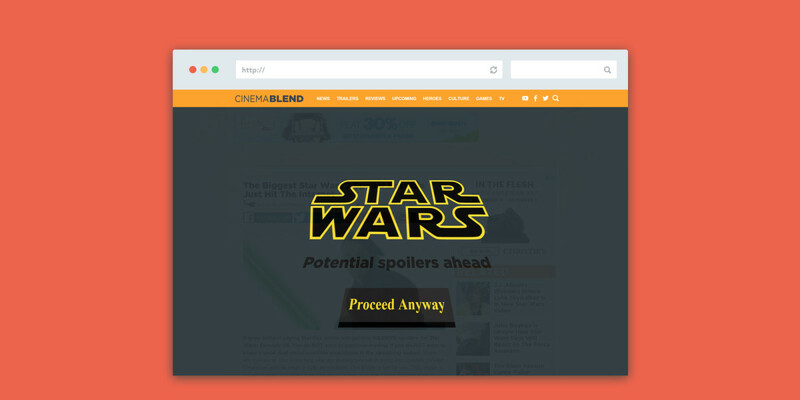 With just 21 days to go before ‘Star Wars: The Force Awakens‘ arrives in theaters, you’re in ever-increasing danger of encountering a spoiler or two on the Web. Thankfully, there’s a Chrome extension to keep you from accidentally reading them. Whenever it detects a potential spoiler related to the film on a page you’re browsing, it automatically displays a protective overlay. The extension works as advertised, though you may find it a bit overzealous at times. It also adds a cool Stormtrooper helmet button to your browser, which toggles blocking on and off in case your curiosity grows too strong.